The Bloomington Symphony will hold string auditions on July 25. To be considered for the live audition, please submit your video by July 10. We are looking for an associate principal (2nd chair) second violin, principal bass and string players in all sections. We’d love to see your video or answer any questions you might have. The Bloomington Symphony is holding an audition for a one-season substitute position in the percussion section. The temporary appointment will begin at the end of August 2015 and run through at least the April 2016 concert. 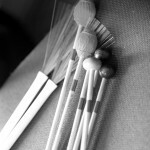 The successful candidate will be expected to commit to performing the entire season, as required by repertoire and need. For more information, download the materials here. 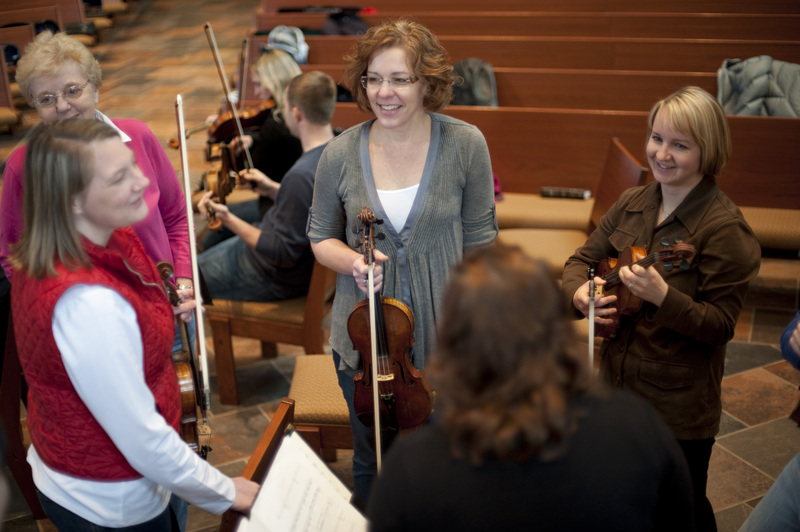 Are you a musician who is looking for a fantastic ensemble to play with in the Twin Cities metro area? Perhaps you are a recent college graduate looking for a place to keep up your chops, or a parent who has recently launched their child into the world. Maybe you have taken a year or two off from playing in an ensemble or you miss the experience of making great music under a fabulous conductor every week. If this (or something else!) 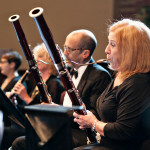 describes you, please take a look at the Bloomington Symphony’s newly updated Auditions page. There, you will find information on our new two-part audition process with a first-round video and a second-round live performance. You can also fill out a form to let us know about you and check out the Audition Materials page where you can find the excerpts. 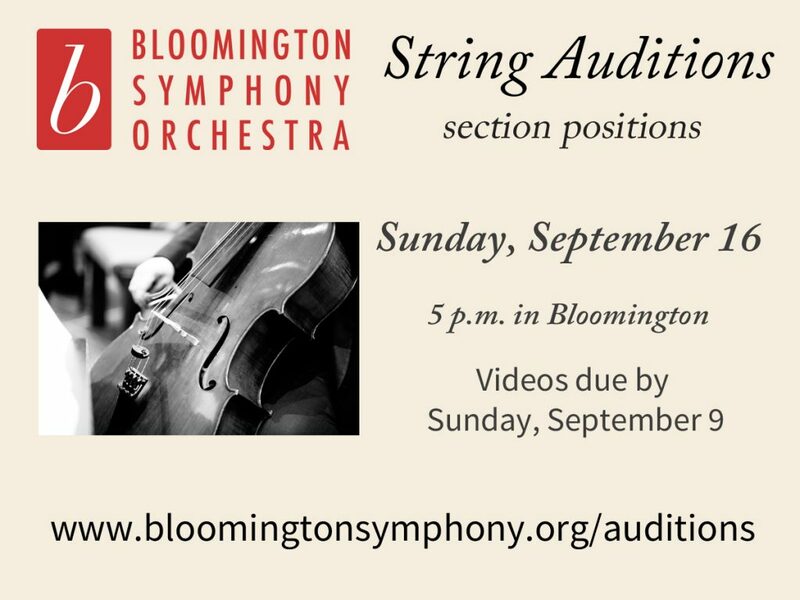 If you have any questions about auditioning for the Bloomington Symphony or want to know more about what joining the BSO means, please contact our General Manager, Sara Kleinsasser Tan at info@bloomingtonsymphony.org. 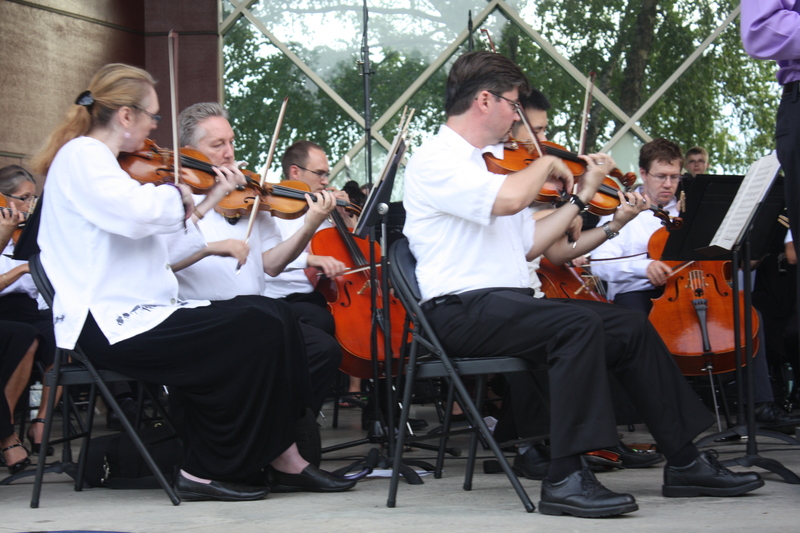 The Bloomington Symphony Orchestra will hold auditions on Monday, July 14, 2014 from 6:30 – 9:30 p.m. at the Bloomington Center for the Arts. Interested musicians are invited to visit the Audition page for more information. Musicians may also download the audition letter here. Open positions include: Principal Second Violin, Assistant Principal First Violin (two chairs), Associate Principal Viola, Associate Principal Cello, Principal Bass, section violin, viola and cello, Flute III & Piccolo II (must play both) and Oboe III with optional English horn. 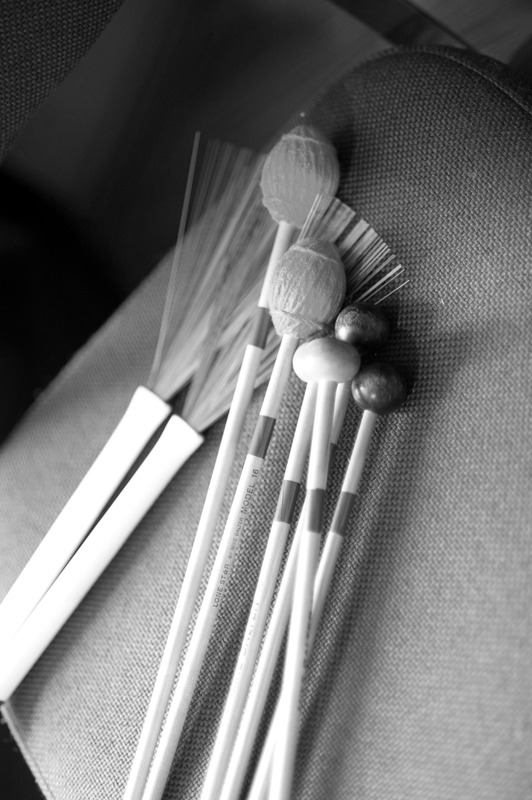 Other instruments are invited to audition for place on our substitute roster. The BSO invites all interested violinists to audition for a section seat, principal second violin or assistant principal (fourth chair) first violin on Saturday, February 1. Auditions will begin at 2 p.m. and will be filled on a first-come, first-served basis. The materials are available for download here (Violin Audition). To reserve your time, send an e-mail to info@bloomingtonsymphony.org or complete the contact form here. 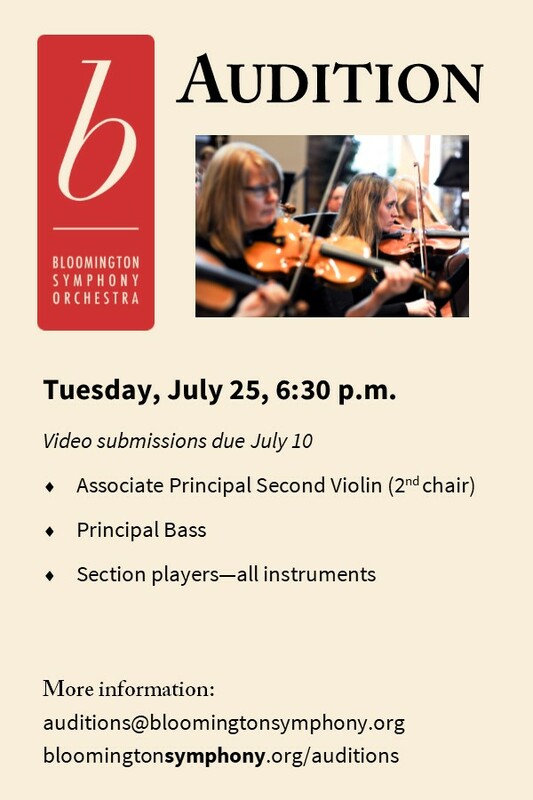 The Bloomington Symphony Orchestra is announcing auditions for the following positions: Principal Second Violin, Assistant Principal (first) Violin (4th chair) and Section Violin. We invite any interested violinists to audition on Saturday, February 1, 2014, beginning at 2 p.m. The audition packet is available here and candidates are invited to send an e-mail to info@bloomingtonsymphony.org to reserve an audition time or ask further questions. Times will be assigned on a first-come, first-served basis.